Cracks in your concrete driveway, porch or sidewalks can negatively affect your selling price. 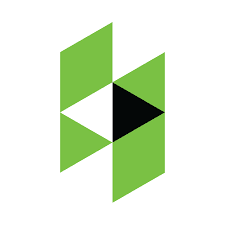 Home buyers will use any disadvantage to their benefit and drag down the price even if they’re just small cracks or buckling in the concrete. Rubber paving eliminates all aesthetic and safety concerns and is ideal for families with young children as the extra grip rubber pavement provides; the chances of children slipping, falling and injuring themselves is reduced. It also represents an opportunity to save money in the long run as repairs for rubber surfacing are almost unheard of due to their long-term lifespan and endurance. 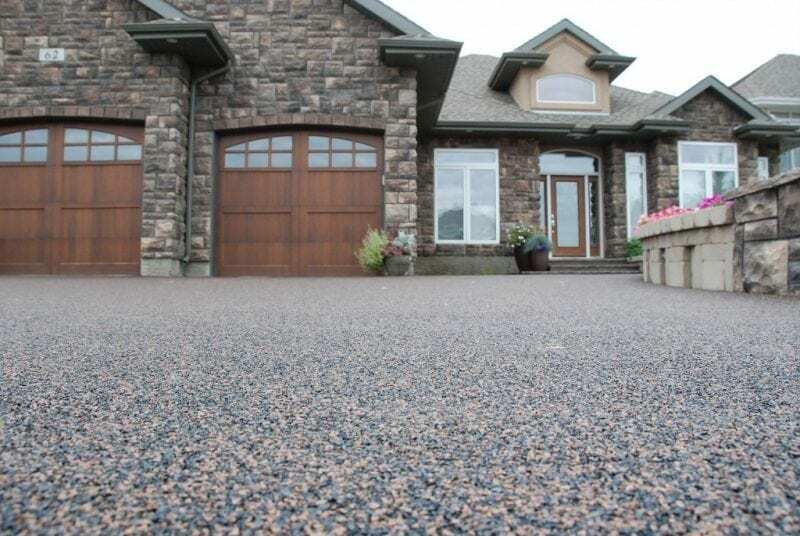 Rubber surfacing represents an opportunity for a fresh new look without breaking the bank. If you wish to resurface your existing concrete with rubber paving, it can save you thousands rather than that alternative of having it removed. Rubber pavement is easy to install and does not require the heavy labour ordinarily involved with laying down new concrete, which will save you money on a more environmentally and family-friendly material. Depending on your personal preference or the colour scheme of your home’s exterior, you have options if you choose rubber paving. Every homeowner we service has a unique personality and different desire for how they envision their home. There are single colour options available to accentuate your creativity, and there are also mixed options which provide homeowners with more traditional concrete-looking colours. To anyone concerned that rubber paving will not blend in we welcome you to examine our demos and witness how natural and professional our work looks. 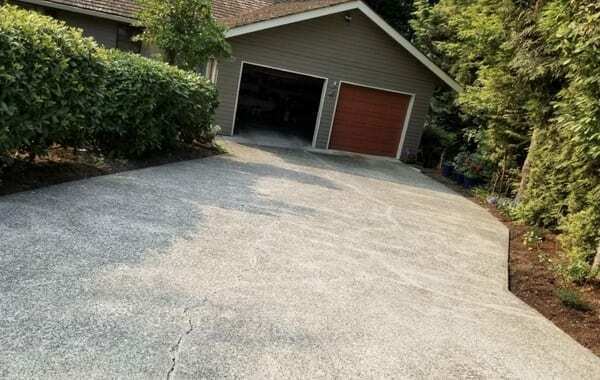 Concrete driveways and walkways are bound to crack over time, as it is exposed to various weather conditions, changing seasons, and heavy vehicles. Damaged concrete is not pleasing to the eye, and neither is the price tag to repair or replace it. Rubber paving will not be affected by seasonal gear such as snow blowers, shovels, or lawnmowers and provides much needed secondary grip support in slippery or icy conditions. Our rubber paving tends to endure in excellent shape for 20+ years! The benefits of rubber paving cannot be understated; it’s cost-effective, customizable and family-friendly. 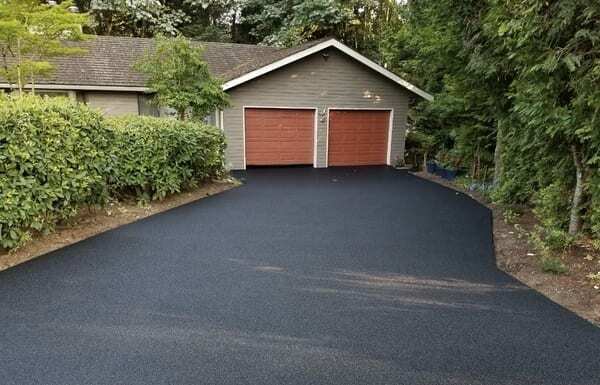 If you are interested in converting your existing concrete flooring, driveway, walkways or patios into rubber paving, contact Vancouver Safety Surfacing today, and we will do everything we can to make your adjustment as stress-free and enjoyable as possible.